These fun snacks will remind you exactly of a carrot cake without the guilt of eating the whole thing. They are packed with two cups of shredded carrots and half a cup of both walnuts and pecans. Finely grate the carrot. Process almonds and walnuts in a food processor until ground. Add the rest of the ingredients, except for carrot, and process again. Add the carrot and process until well combined. 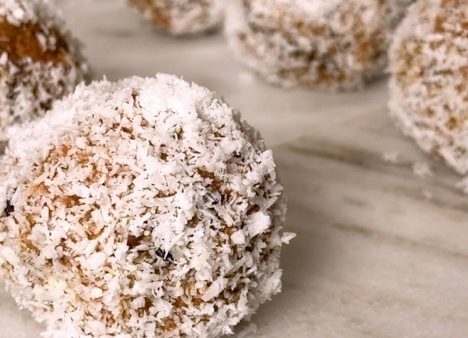 Form the mixture into balls and coat them with shredded coconut. Place the balls on a plate and refrigerate for 2 hours to set. Enjoy!